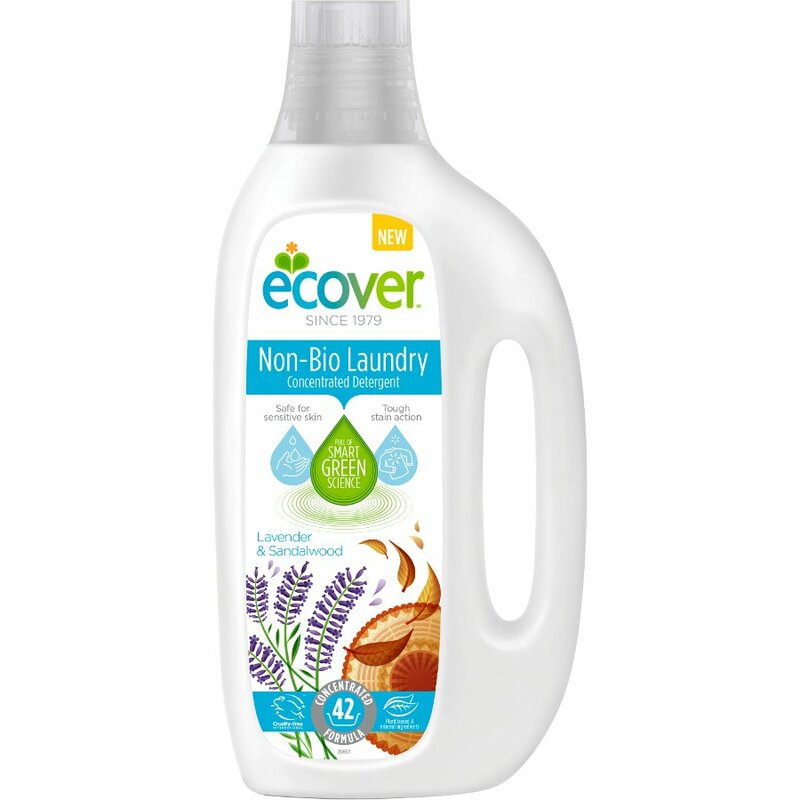 This super concentrated non-bio laundry liquid from Ecover has a powerful new formula that is tough on stains – even at 30° - and gentle to skin. The laundry liquid is fully biodegradable, suitable for septic tanks and offers brilliant washing results whilst offering more washer per bottle; 54% less packaging per wash and 68% less transport miles. It is made with plant based ingredients and is certified cruelty free, and with no animal derived ingredients it is suitable for a vegan lifestyle. With a new lavender & sandalwood fragrance. We have a water softener so actually use a lot less product in our washing machine which means the laundry liquid goes further. It is good for sensitive skin and kinder I would hope to the environment. Also there is no lingering fragrance as with so many other washing liquids/powders. Pleasant smell and good washing power on low-temp cycle.